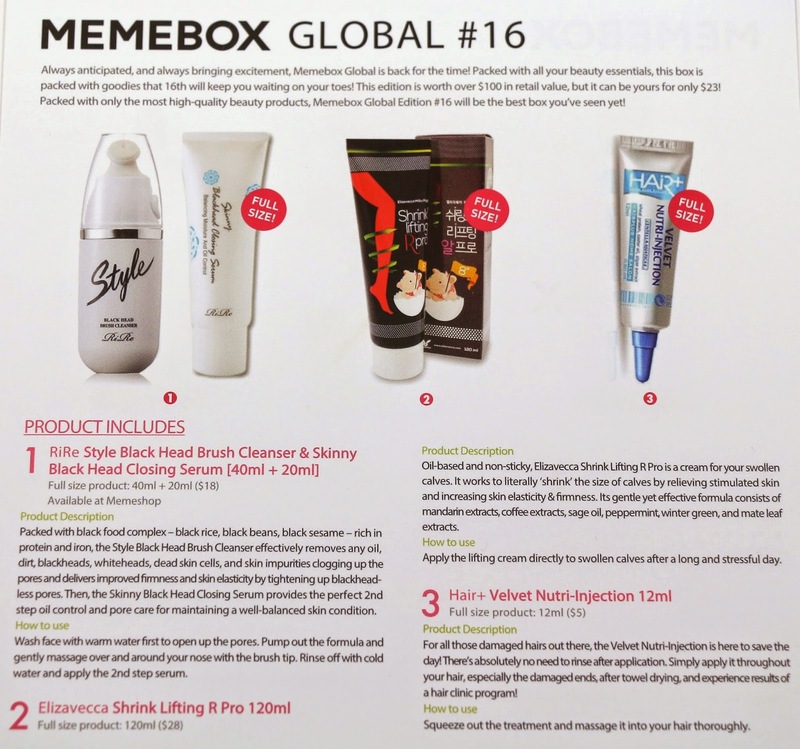 The Global boxes from Memebox are the one box I always say are the most closely related to a true subscription box. If you're looking to try Memebox for the first time, Global boxes are a good way to go, as they are always a good value, and come with a variety of Korean skincare products to try. Here's the latest version, Global #16, which originally sold for $23 (+$6.99 shipping) and is now sold out. This box was sent via Registered Mail and delivered by USPS 14 days after it was sent from Korea to California. Product description: "Packed with black food complex - black rice, black beans, black sesame - rich in protein and iron, the Style Black Head Brush Cleanser effectively removes any oil, dirt, blackheads, whiteheads, dead skin cells, and skin impurities clogging up the pores and delivers improved firmness and skin elasticity by tightening up blackhead-less pores. 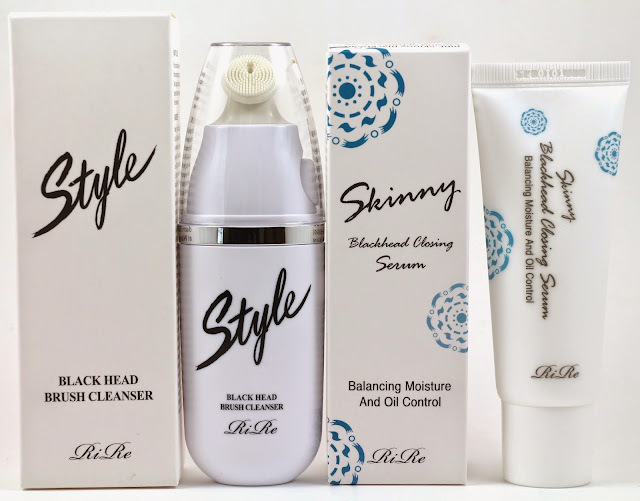 Then, the Skinny Black Head Closing Serum provides the perfect 2nd step oil control and pore care for maintaining a well-balanced skin condition." How to use: "Wash face with warm water first to open up the pores. Pump out the formula and gently massage over and around your nose with the brush tip. Rinse off with cold water and apply the 2nd step serum." My thoughts: This is actually a really interesting product, I don't think I've ever seen a product from Memebox that was a 2 step product, and certainly nothing like this brush cleanser. 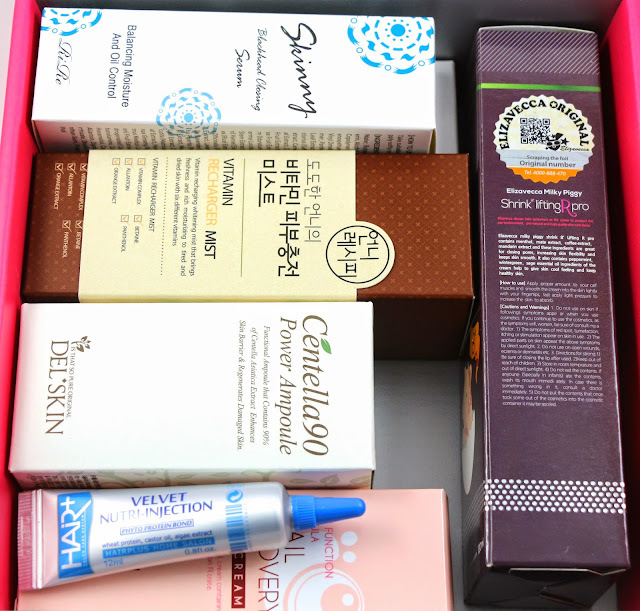 Global boxes are supposed to be packed with the newest in K-beauty, and this definitely fits the bill. I'm interested in using this, even though I don't get blackheads. Product description: "Oil-based and non-sticky, Elizavecca Shrink Lifting R Pro is a cream for your swollen calves. 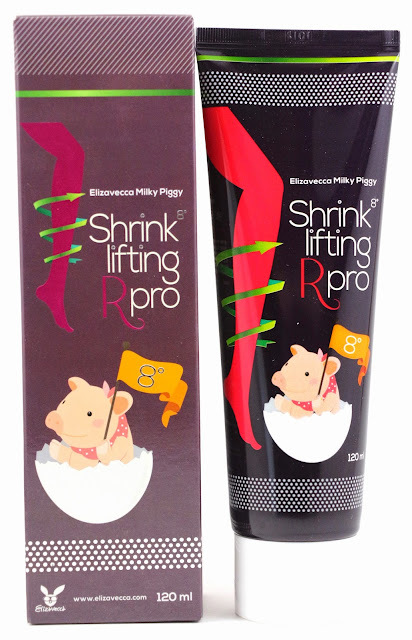 It works to literally 'shrink' the size of calves by relieving stimulated skin and increasing skin elasticity & firmness. Its gentle yet effective formula consists of mandarin extracts, coffee extracts, sage oil, peppermint, winter green, and mate leaf extracts." How to use: "Apply the lifting cream directly to swollen calves after a long and stressful day." My thoughts: This is another really strange and unusual product, but it's basically supposed to be a pain reliever of sorts for your calves when you exercise really hard, or have a long day at work. Not something I need really now, because let's be real, I don't exercise, but I bet this is something my mom would like as she is on her feet all day at work. Product description: "For all those damaged hairs out there, the Velvet Nutri-Injection is here to save the day! 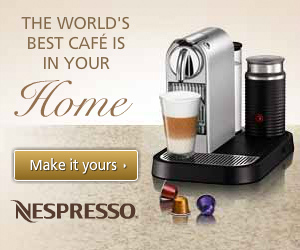 There's absolutely no need to rinse after application. Simply apply it throughout your hair, especially the damaged ends, after towel drying, and experience results of a hair clinic program!" My thoughts: This tube is pretty small, so if it's really meant to go all over your hair after showering, then I may only get a few uses out of it. I wish it said how much you're supposed to use, but I may try this since my hair always has damaged ends, and since it's such a small tube, I can use it up quickly. 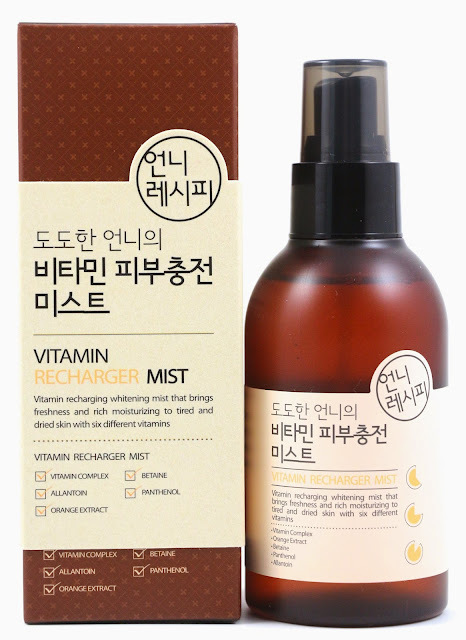 Product description: "Quench skin's thirst and brighten up dull complexion with Unni Recipe Vitamin Recharger Mist enriched with 6 different vitamins and hyaluronic acid. 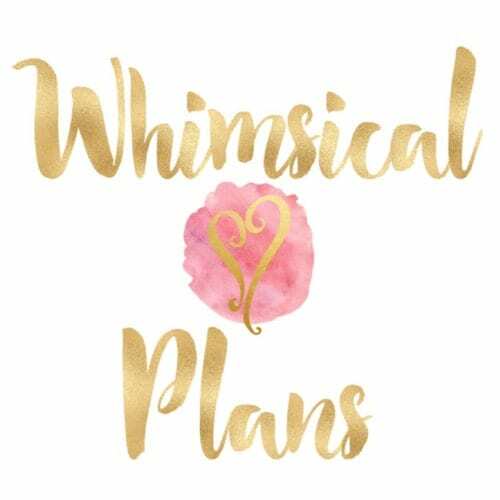 Plus, it's completely free of paraben, benzophenon, mineral oil, alcohol, tri-ethanol, and artificial coloring, thus making it gentle enough to be used by all skin types." How to use: "Spray the facial mist from about 20cm away before or after makeup application and whenever needed." My thoughts: Facial mists are actually growing on me, I'm making good headway on the one I'm currently using, because I kind of douse my face in it! This one smells good too, so I'm looking forward to using it. Product description: "A light, fast-absorbing gel cream consisted 74% of snail mucus extracts which work to soothe and de-stress while moisturizing, nourishing, and firming the skin for a gentle, non-irritating blemish & wrinkle care." How to use: "Apply adequately to face at the last stage of skincare routine and gentle pat in for full absorbance." My thoughts: I've actually already received this product before from Beauteque, but I like the brand and the product, so this will be a good dupe to have. 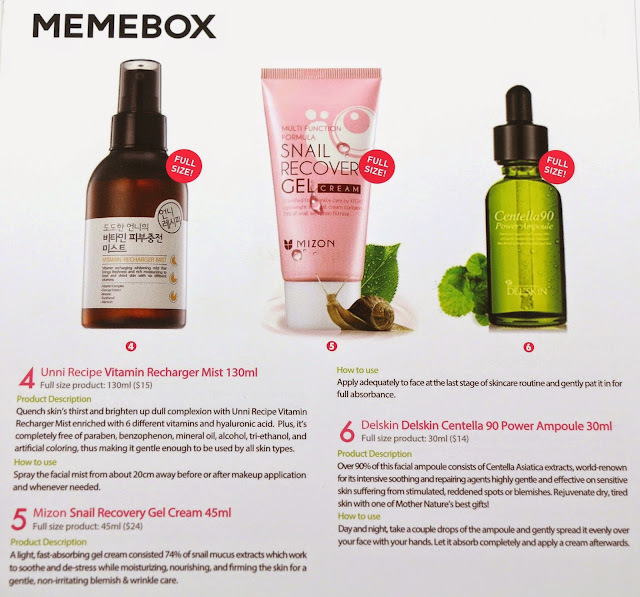 Mizon is a good quality brand, but this is one of the first times one of their products have been in a Memebox, so it's good, hopefully more products from them will be coming in future boxes. 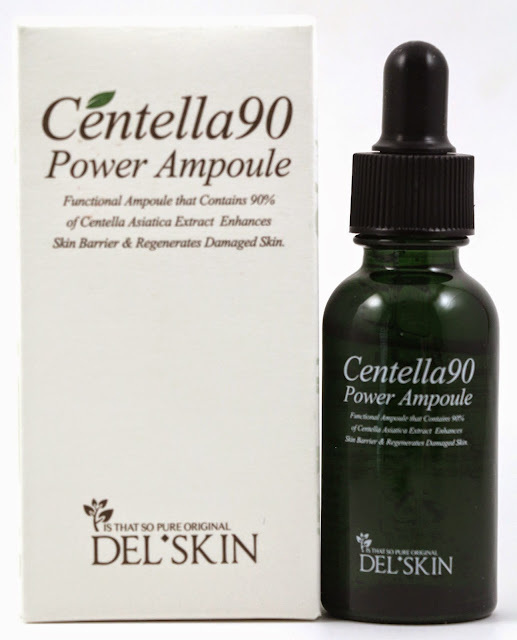 Product description: "Over 90% of this facial ampoule consists of Centella Asiatica extracts, world-renown for its intensive soothing and repairing agents highly gentle and effective on sensitive skin suffering from stimulated, reddened spots or blemishes. 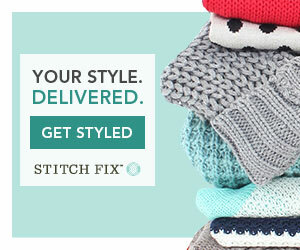 Rejuvenate dry, tired skin with one of Mother Nature's best gifts!" How to use: "Day and night, take a couple drops of the ampoule and gently spread it evenly over your face with your hands. 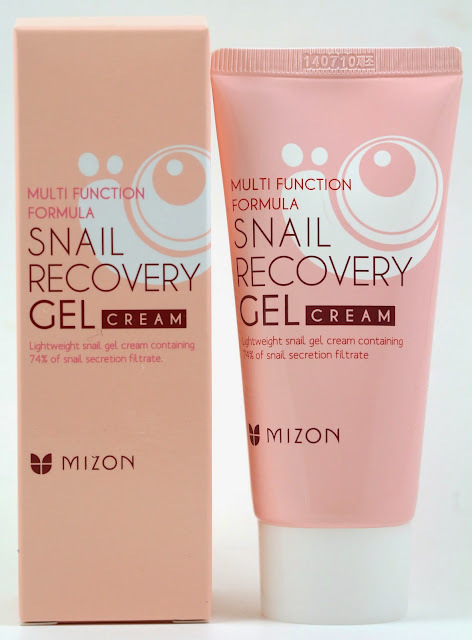 Let it absorb completely and apply a cream afterwards." My thoughts: I don't have many ampoules in my collection so it's always great to get one to see if it's a type of product I really like having in my skincare routine. Plus, this supposedly world-renown Centella Asiatica extract, I have never heard of, so I'm interested to see if it lives up to the hype. Overall, the Global #16 box had a total value of $104 and I think it had a really good variety, and a lot of products I am interested in trying! There's a cream, an ampoule, a fancy facial brush cleanser, a hair product, a body product (that's not hand cream! ), and a facial mist.